Cindy has been a resident of Cleveland Heights for 25 years, has been working behind her chair at Abstract for nearly 30 years. She purchased the salon 15 years ago, and has been focusing on helping the girls in her salon family grow to be the best they can be. 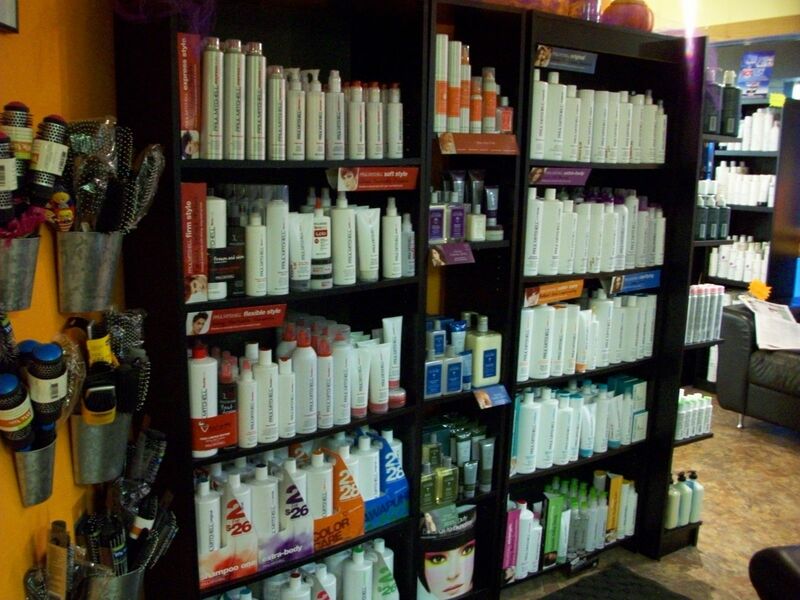 Cindy has completed numerous advanced training programs through Paul Mitchell and many more product lines, and her goal is to provide her employees with the highest levels of current training available. 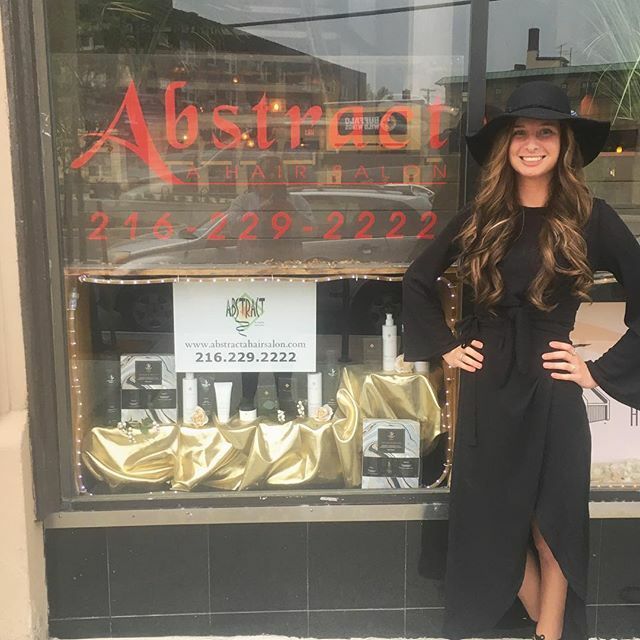 Abstract a Hair Salon has been fortunate to have had Ryan as an employee since her early days in the cosmetology industry just after graduating Cuyahoga Valley Career Center in 2008. Ryan, much like her co-workers, has made continuing her education a priority. She has completed dozens of Paul Mitchell Systems classes over the last 10 years. Among Ryan's many accomplishments thus far in her career, she has become certified as a Dream Catcher's Hair Extensions Specialist, recieved her Deva Curl certification, won The Heights Observer's Best of the Heights Award for favorite stylist in 2013 and was a runner up for the same award in 2014. In addition to all this, she is now a new Mom as well to a beautiful baby boy! Ryan is currently working on a part-time basis as she embraces this new stage of life; typically Wednesdays and Saturdays! Ryans passion for transforming guests hair and lives still continues on and she would love for you to prebook with her due to limited availibility! See Ryan's work on Instagram! After graduating from the Ohio Academy of Paul Mitchell, Nicole (aka Nikki) joined the salon family in early 2012. Nicole loves learning and has attended Paul Mitchell The Gathering several times. She has taken classes to expand her knowledge in the Paul Mitchell Family and received certifications in Dream Catchers Hair Extensions and Paul Mitchell Boot Camp. She looks forward to growing within the salon family and enjoys making people happy through what she does!! See Nicole's work on Instagram! As a newly licensed graduate of Cuyahoga Valley Career Center, Jordan strives to model her exemplar coworkers, and cultivate her technical skills. Jordan began her career at Abstract a Hair Salon nearly two years ago when she had first began her Cosmetology education. Jordan studies Promotional Communications at Cleveland State University and hopes to one day be a National Paul Mitchell Educator all while still being behind the chair. Jordan is a true believer in Paul Mitchell products, hopes to make hundreds feel beautiful throughout her career, and inspire others. See Jordan’s work on Instagram! !